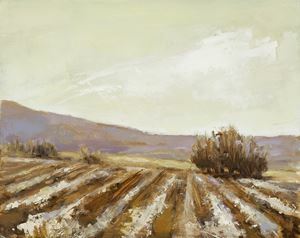 The 2014 Winter Wonderland Online Contest Winner is Jane Hunt for her beautiful painting, Winter Furrows, 13th in list! Congratulations to Jane! The contest was very competitive with 70 members casting votes for their favorite painting. Jane will be receiving a prize too! Her prize is the fabulous new Rizzoli publication, Anders Zorn, Sweden's Master Painter. Thank you to all who participated in the contest and made it such a success.